On Friday, January 25, 55-year-old Leyla Güven walked out of Diyarbakır Prison, in southeastern Turkey. Leyla Güven had been on hunger strike for 79 days and was in poor health when she was released. Leyla Güven had been in prison since January 2018. 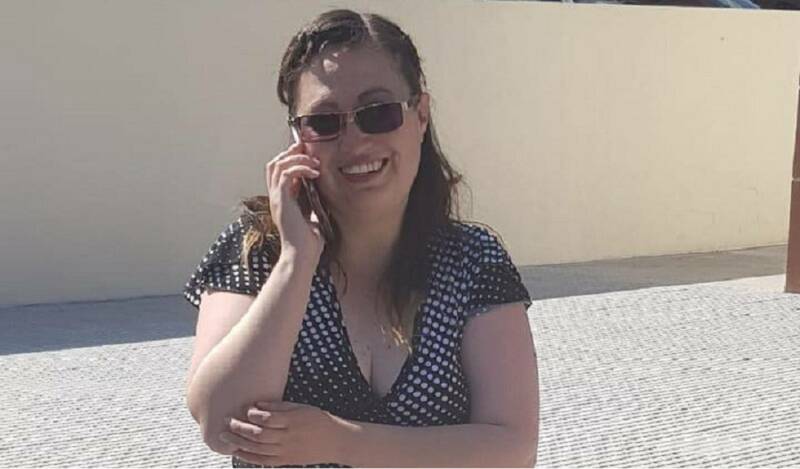 On Thursday, January 24, 29-year-old Dafne McPherson Veloz walked out of prison in San Juan del Río, in Querétaro in north central Mexico. Dafne McPherson Veloz had spent three years and four months in prison of a 16-year sentence. 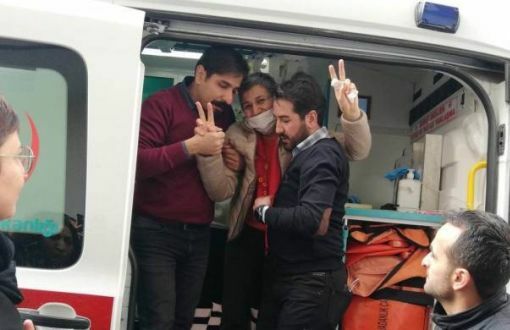 News media report Leyla Güven as “released” from prison, as “freed”. News media report also describe Dafne McPherson Veloz as “freed” and “released.” Leyla Güven still faces trial and a possible sentence of 100 years. Upon leaving prison, Dafne McPherson Veloz said, “They stole those years from me, but I made myself stronger and harder.” What is freedom in this world, this world where women are routinely falsely accused and held? When the age of mass and hyper incarceration is over, will we have any means of recognizing freedom? Will we know freedom? In 2015, Dafne McPherson Veloz worked in department store. She was the mother of a three-year-old child. One day, Dafne McPherson Veloz felt abdominal pains. They grew severe. She went to the restroom. The pains persisted. Finally, to her great surprise, Dafne McPherson Veloz gave birth to a child, who subsequently died of asphyxiation. Dafne McPherson Veloz went into shock and fainted in the bathroom. Immediately afterwards, she was charged with and convicted of homicide and sentenced to 16 years in prison. Dafne McPherson Veloz spent over three years behind bars, all the time maintaining her innocence. Doctors say she suffered from hypothyroidism, the symptoms of which masked the pregnancy. Although Dafne McPherson Veloz went to the doctors, none mentioned that she was or might be pregnant. Dafne McPherson Veloz and her attorneys have argued consistently that her trial was improper, both because of inadequate evidence and because the judge relied on “stereotypes” of how a woman, a “good mother”, should live. In other words, Dafne McPherson Veloz “should have known” she was pregnant and so she was found guilty of murder. Prior to her arrest, Dafne McPherson Veloz was not well known. Leyla Güven, on the other hand, is a prominent Kurdish activist, an elected official who has been detained before. Leyla Güven is an MP for the People’s Democratic Party, a pro-Kurdish party; and is a Co-Chair for the Democratic Society Congress. According to a recent statement by Angela Davis, “Leyla Güven … has been on an indefinite hunger strike for the last two months. Having dedicated her political efforts over the years to the struggle against the Turkish state’s illegal military invasions and occupations of Kurdish regions and against Turkey’s continuing human rights abuses, she now offers her life in protest of the isolation of Abdullah Ocalan, leader of the Kurdistan Workers’ Party, and other Kurdish political prisoners. Ms. Guven is a major inspiration to people throughout the world who believe in peace, justice and liberation. I join all those who support her and stand in condemnation of the repressive conditions of Mr. Ocalan’s imprisonment.” Leyla Güven faces more than 100 years in prison for the crime of having criticized Turkish military operations in the predominantly Kurdish town of Afrin in northern Syria. Where women’s life time is stolen, what is freedom? Where women continue to be threatened, what is freedom? Where women must live with the trauma and memory of having been caged, what is freedom? Where prisons become hellholes that house 85-year-old women and two-year-old girls, and everyone in between, what is freedom? It’s time, it’s way past time, to investigate freedom itself, to do something, to pull not only the innocent but the scarred out of prison. It’s time once again to never lose hope. It’s the only thing I can say.